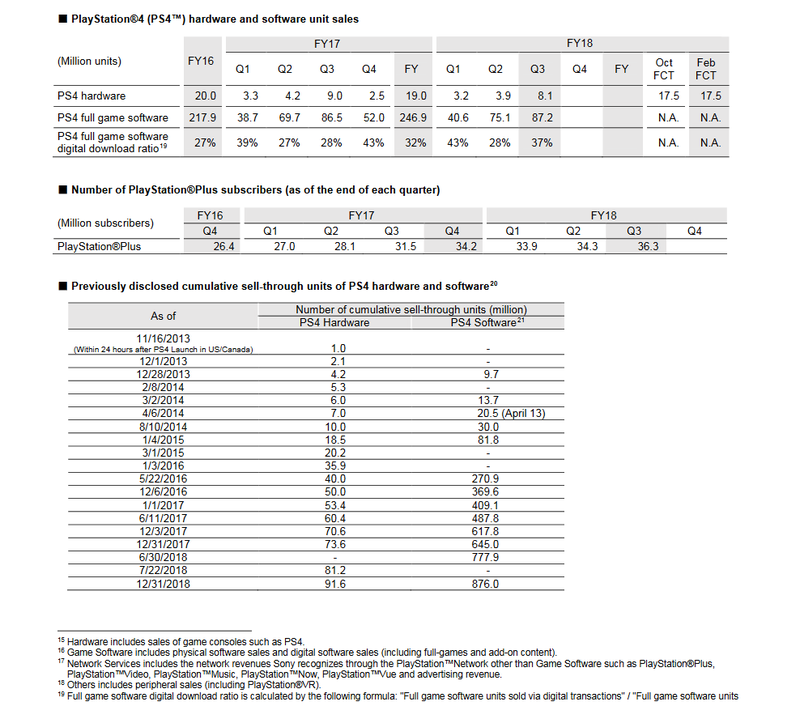 Sony FY2018 Q3 Report: 8.1m PS4 shipped Q3. 94.2m shipped LTD. The PS4 is closing in on some major milestones this year. 100 million PS4's shipped and then sold(eventually) along with selling over 1 BILLION software. The PS4 has been keeping up with the PS2 despite costing more and going up against stronger competition(Switch outsold Gamecube and Xbone outsold xbox). The PS2 also had a very deep price cut that the PS4 will likely never see. I don't expect this rapid selling pace to continue in 2019. The 5 year old PS4 somehow outsold the red-hot Switch in 2018. Selling that well means you don't really need to cut the price. I expect Sony to ride out the PS4 without a price cut until the PS5 is announced. Edit: The PS4 is outperforming the PS2 launches aligned. I don't think it'll ever hit that 155m figure but it's on track to becoming the 2nd best selling console of all time. There's still a huge market waiting on $199 PS4s. It sold out very fast during black friday. 155 million might not happen, but it is very possible. I am sure the PS4 will be selling all the way to 2024. With eventual price cuts, the console should hit the mark. I would have never guessed that the ps4 would have continued to sell so well without having a price cut in so long. I think the last time it got a permanent price cut was in 2016. I can see the ps4 still putting up decent numbers even with the ps5 on the market.